1) A history of broken or fractured bones in the shoulder or arm that leads to a lack of movement, eventually causing immobilization. 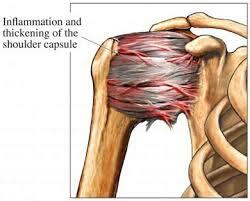 2) Injury to the rotator cuff muscles. These muscle help stabilize the joint and aid in movement. The injury causes the muscle to stiffen. 3) Post surgery trauma usually involves the formation of scare tissue, which can limit movement. In all of these situations it’s believed that the initial injury eventually leads to inflammation of the capsule surrounding the joint, causing the signs and symptoms associated with frozen shoulder. This condition can be seen in all segments of the population, however, it’s most common in women over the age of forty. From an East Asian medical perspective the signs and symptoms associated with frozen shoulder can occur from the same or similar causative factors as mentioned above but how these factors affect the joint and the surrounding tissue is different. The injury tends to cause local stagnation or obstruction of Qi (functional energy) and blood, which leads to the limitation in range of motion and pain. Acupuncture can help decrease the pain and improve range of motion by removing the obstruction or stagnation, loosing the affected muscle and improving circulation. It’s also helping at decreasing inflammation. Along with the acupuncture treatments, tui na, a style of East Asian bodywork that incorporates massage techniques with movement and stretching can be extremely beneficial. The tui na works in conjunction with the acupuncture to speed up the healing process. Please give the office a call if you have any questions or would like to schedule an appointment. A type of bodywork originating in Asia, tui na is a therapeutic style of bodywork and is intended to facilitate pain reduction, improve range of motion and mobility. Tui na uses a variety of techniques and movements to correct structural and energetic imbalances. Some of the techniques utilized during a treatment might sound a little unusual like kneading, rolling or shaking, almost like someone is trying to make bread. On the other hand, other techniques are more familiar like stretching and pressing. The stretching in tui na aids the body in movement, focusing on opening the body’s energetic and structural pathways. In this way acupuncture and tui na are very similar in how they view body and how the body should be treated, that is why the combination of the two modalities is so powerful. In the end, the real benefit of tui na comes from the movement it creates. Tui na facilitates the healthy movement of muscles, tendons, ligaments and fascia. 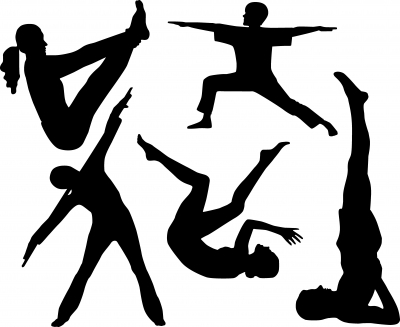 Its goal is to bring the body back into balance through physical movement. Bodywork is a great addition to an acupuncture treatment or can be the sole treatment modality. This type of anterior knee pain is very common in runners and can be experienced at any time in ones running career. Common symptoms include pain, instability and/or popping sounds. The primary cause of this problem is overuse but other factors might be to blame. 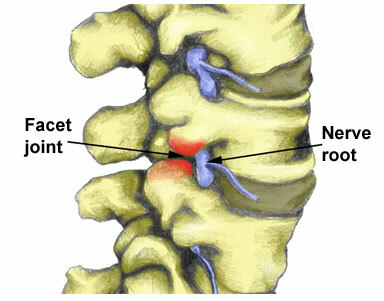 The key to this condition like all others is to determine the primary cause of the injury and treat the source. From an Asian medical perspective, when overuse is the cause, rest with treatment is usually the best course of action. Treatment will generally consist of acupuncture and cold laser. The acupuncture and cold laser reduce pain, decrease inflammation and improve circulation. The combination of the two modalities produce a powerful synergy. In acute cases the recommended treatment plan is 1-2 times a week with reassessment after three weeks. Chronic conditions can usually be treated with once a week visits, but an initial assessment will be needed to decide the best action plan. Acupuncture is a powerful tool in the treatment of pain and can be used in many different types of situations, please give the office a call if you have any questions.